If you are a resident of Ayer, Devens, Groton, Harvard, Littleton or Shirley and hunger is affecting your family, Loaves & Fishes can help! The staff and volunteers of Loaves & Fishes are dedicated to helping our neighbors in need in a way that promotes dignity, respect, and honors your confidentiality. Many clients report the kindness they receive from our volunteers is just as valuable as the nourishment they get from the groceries. 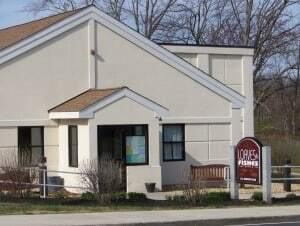 Loaves & Fishes is a free-choice pantry with no income requirements. Come to an open pantry session and bring a piece of first class mail, such as a utility bill, to prove your residency in our service area. All new clients will meet with our Client Advocate. 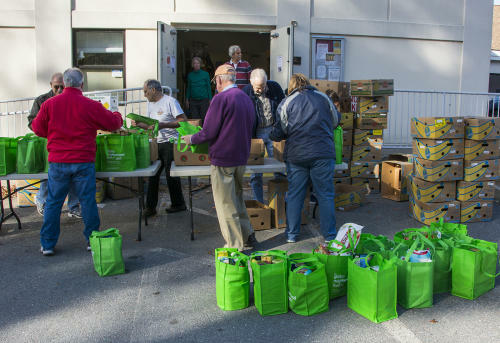 Each visit to the Pantry you will receive $150 to $250 worth of groceries, depending on family size, to reduce your family’s monthly food expense. 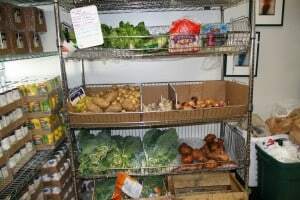 Clients may shop at the pantry twice a month. All new clients will have an intake completed by the Client Advocate. Additional resources are provided based on need.